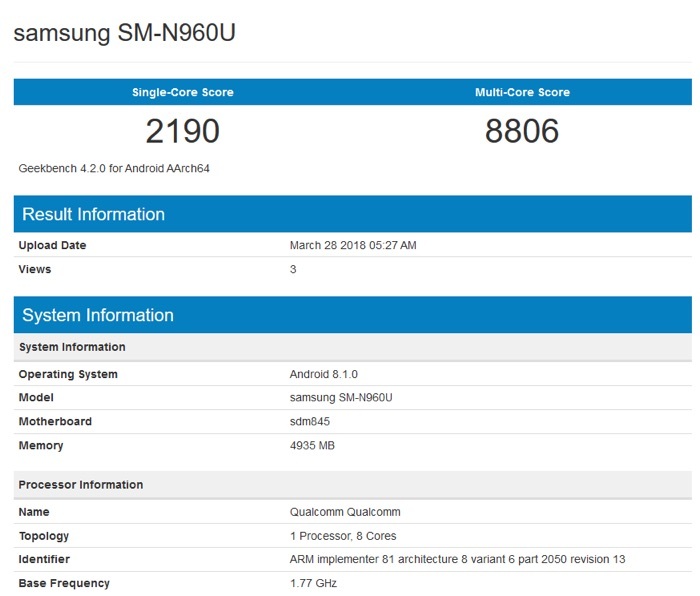 It looks like the new Samsung Galaxy Note 9 has been benchmarked, the handset recently turned up on the Geekbench benchmarks. The device is listed with the model number SM-N960U, this appears to be a test version of the Note 9 and it comes with a Qualcomm Snapdragon 845 processor. There will also be another version of the handset with a Samsung Exynos 9810 processor. The new Note 9 is listed with Android 8.1 and it looks like the handset will come with 6GB of RAM. There is also the possibility of an 8GB of RAM version of the handset. We are expecting storage options to range from 64GB to 256GB. 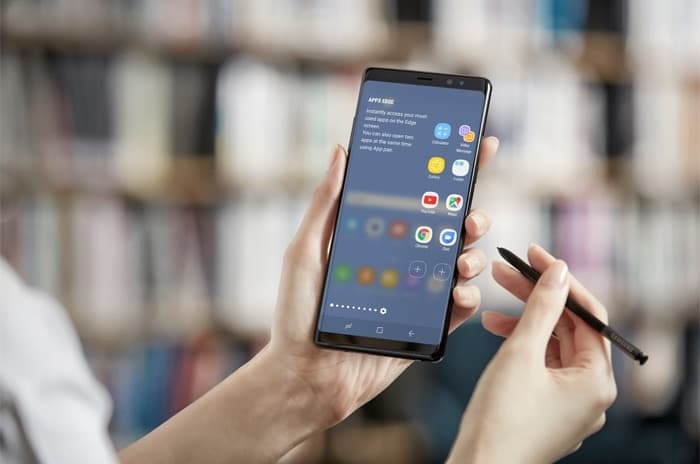 Samsung will probably launch their new Note 9 smartphone some time in August, last year model launched in August and Samsung are looking to release the device before this years iPhones which are due in September.